Friday I was watching The Chew – a show on ABC at noon weekdays. 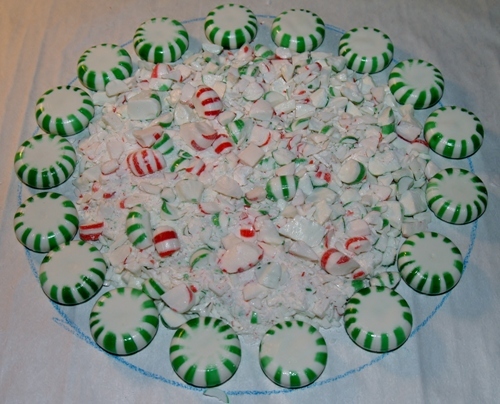 I saw the tail-end of a segment showing peppermint candy made into plates used as serving dishes at Christmas. Although I didn’t catch how to do it, I made a mental note to look it up on their website. 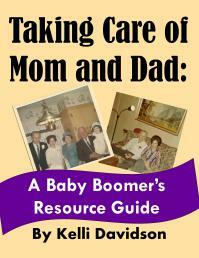 Later that day, I was notified of a new post on the Retro Wifey blog. She’s a sweet woman who also has a facebook page of the same name. 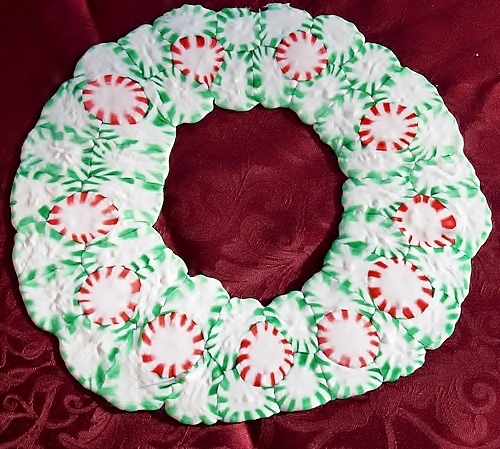 I read that post and then looked back at what she had written over the last few weeks and there it was again – plates made from peppermint candy but she had made a beautiful wreath plate in one of her photos. I knew I wanted to try it! 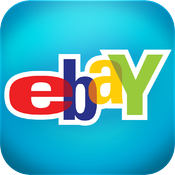 By the by, go over and visit Retro Wifey – tell her I sent ya! 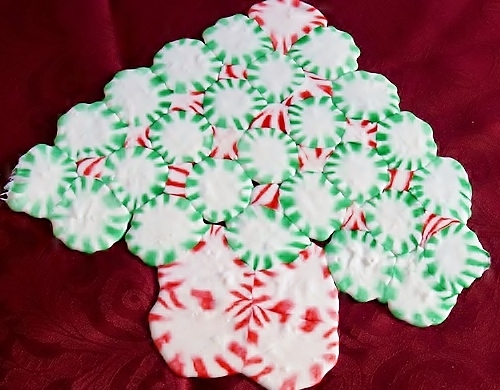 Today about noon, my husband and I went to the kitchen to unwrap peppermints and make some plates for my mom’s neighbors and some of my co-workers who I will give homemade goodies as gifts. We decided to get creative and ended up making 10 different items. Some plates were big, some small. Some were square and some were round. One was even a wreath! They aren’t perfect but I am okay with that. 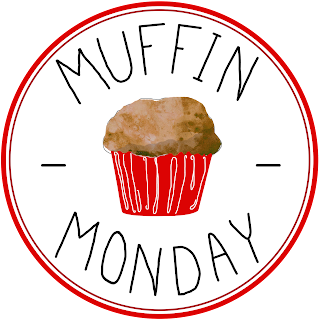 They look homemade and are so easy to do! 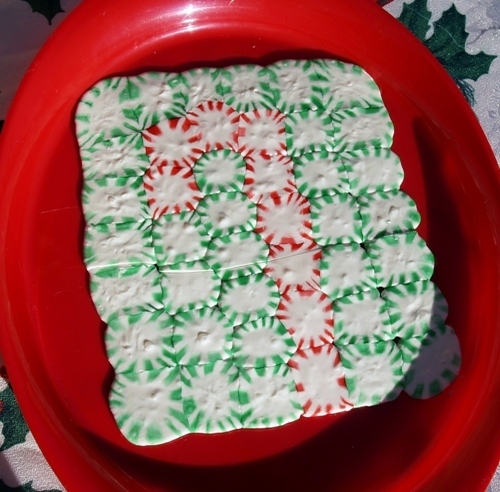 Buy and unwrap a bag or two of peppermints, the cheaper the better as expensive ones do not “melt” as well as the cheap ones. 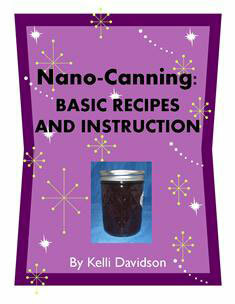 Using candy lay out the design you want keeping candies about ¼ inch apart. Here is one just before placing in oven. Then I spread the crushed candy out and picke up the bigger pieces to put on top. Directions on The Chew and on Retro Wifey blogspot say to place in oven for about seven (7) minutes but mine took about 10 so I would say to set the timer for seven minutes and then watch until it looks done. Let it cool completely before taking off baking sheet. We set ours in the garage where it was cool. Once cool, it will not be sticky and will slide right off the parchment paper. 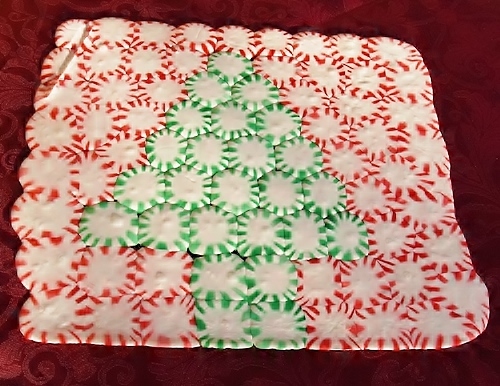 Top Girl and Son-in-Law dropped by this afternoon and she said she had seen them on Pinterest so I suppose this is not a very new idea, but Mr. Picky Eater and I had a great time making up designs with the green and red peppermints. I think I will wrap mine in clear cling wrap so all my goodies won’t taste like peppermint, although it made the house smell wonderful! These dishes are edible and are also very forgiving. One of ours broke so I put it back in the oven for 10 more minutes and you can’t even tell which ones it is, can you? I saw part of this episode on The Chew..( when they were showing this ), your plates look awesome! Great job! Thank you so much. 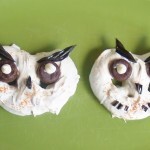 They were a hoot to make with my husband – he’s so meticulous and precise and as you can tell………..I’m not! I love the christmas tree *plate*! 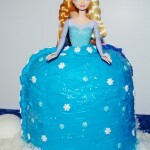 I’ve seen this a zillion times on Pinterest as well but have not tried it yet. It just looks so cool! Thank you! 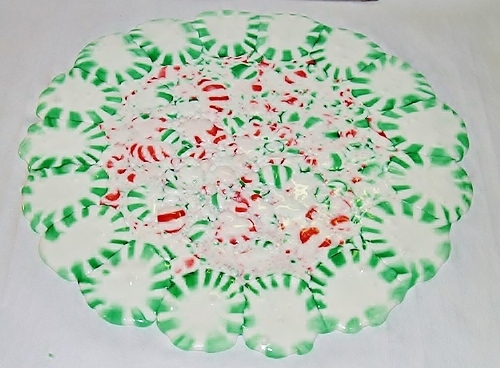 It IS cool especially if you have a window in your oven and can watch the candy melt! What a fun idea! I have never seen this before. They look so festive! 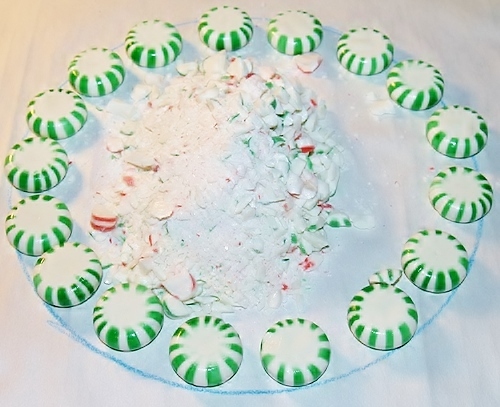 Great idea – I’m going to get some peppermints today and try this out. 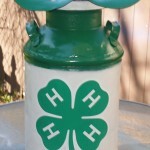 Also checked out Retro Wifey’s blog and am now following. That’s great! They are a lot of fun and Retro Wifey will appreciate the follow! 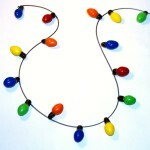 I’ve been seeing this on Pinterest, and another friend recently attempted it. Her attempt didn’t go so well, so she gave me a few pointers. I think that, combined with your awesome post, should let me make some awesome trays! These look great! 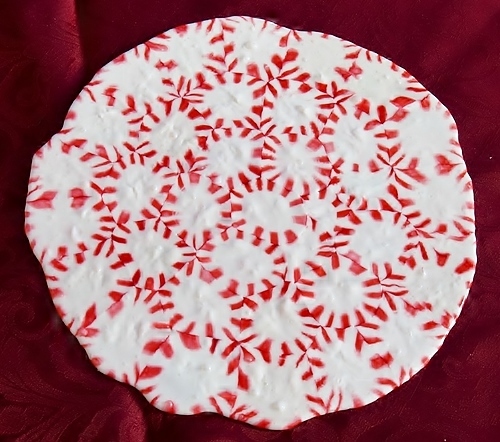 These make great ‘plates’ for your Christmas cake. My daughter did a big one for her contribution to the pot-luck Christmas dinner last year. That sounds like a GREAT idea!! Thank you for the tip. Please come back anytime – you are always welcome! I am just amazed at these! What a fabulous idea! And they are so cute too! Thank you for the kind comment and also for dropping by – please come again anytime! I saw these on the chew. Yours came out so cute! You are inspiring me to try it. Thanks for sharing on Thursdays Treasures.